If you've been cynical about the benefits a lawyer can gain from working with a Coach... read on! Marie noticed that Diane seemed to be sailing through her career and receiving nods from the firm's partners. According to Marie, Diane was extremely successful in handling her cases, developing strong relationships with her clients and seemed to be building a successful career on all fronts. As a third year associate, Diane was viewed as a rising star in the firm and was getting several choice assignments many of which Marie had hoped to get. After inviting her to lunch, Marie learned that Diane had been working with an Executive Coach. During lunch, Diane credited her Coach with helping her develop and implement a strategic action plan to help her: 1) improve weak areas in her performance, 2) enhance and strengthen her professional image and 3) get on the fast track to partnership. According to Diane, "Hiring my Coach was the wisest career move I could have made She provided me with the direction I needed to take my career to the next level." One week later, Marie hired her own Coach. Professional Coaching is for lawyers who are ready to excel, enjoy a better quality of life and gain an edge on the competition. In fact, Professional Coaching is popular throughout the business world. Organizations like Kodak, IBM and Wachovia have Professional and Executive Coaches on staff as part of their professional development programming. The practice of law is demanding, and it takes a toll on our personal and professional lives. In April 2004, The California Bar Journal reported that the rate of depression among attorneys is four times higher that of the other professionals and the general population. Nationwide, Lawyers Assistance Programs are working with lawyers who are coping with stress-related emotional and substance abuse issues. Many of these programs have recently seen sharp increases in the numbers of lawyers seeking help. Fact: Lawyers need someone to talk to. Not a partner in the firm, significant other, colleague or a friend, but someone whose only job is to help you plan your career, manage your life, and set goals to keep you on track. Someone who can help you balance the professional and personal demands, and keep you focused on what is really important. That is the job of a Professional Coach. Coaches are trained to help clients achieve powerful results. Like lawyers Coaches are trained to achieve successful results for their clients. To that end, there are systems of accountability incorporated into the coaching process to move clients forward and deepen insights. What types of things can a Coach help with? Lawyers can use a coach to work on any issue impacting them personally or professionally. Some attorneys choose to work on improving their professional performance, while others are looking for ways to better manage stress, burnout or to achieve work/life balance. Other lawyers want to improve their managerial skills. While others hire a Professional Coach because they need help leaving the practice of law or finding a more fulfilling position within the law. Although clients report that they find coaching to be therapeutic, coaching is not Therapy. Coaching is present and future focused, and unlike therapy, coaching does not address mental health issues or past traumas and experiences. "Lawyers are good subjects for coaching because they are results-oriented professionals. But like most busy professionals,it is hard for lawyers to consistently focus on things that are important,but not urgent. In addition, while attorneys may get good training in "lawyering" in the early years of practice, they are less likely to get any consistent and focusedtraining on how to develop their professional and personal lives. A law degree can still open up a lot of doors for you, but real career satisfaction takes both hard work and planning. Having the degree, and working in a good law firm, are not enough." Coaching is a collaborative process that is focused and results oriented. A Professional Coach can help lawyers overcome challenges, increase strategic thinking and improve communication skills. In addition, many lawyers hire Coaches to help them develop a savvy professional image, cultivate ongoing career and personal goals and to achieve greater work-life balance. Unlike a consultant, a Coach doesn't come in and solve the problem for you. Instead, a Coach partners with you to assess how best to resolve issues and achieve your goals. Most Coaches meet with their clients via telephone on a weekly basis. Sessions usually last 30-40 minutes. Coaches are governed by the International Coaches Federation which requires that all client/coach communications be held strictly confidential. So in a nutshell...an Executive Coach can provide the insight, accountability, resources and strategic planning that a lawyer needs in order to build a successful career and fulfilling personal life. The best way to learn about Coaching is to experience it. Set up a Complimentary Coaching session, and receive help with a personal or professional development issue. No strings. To schedule an appointment send an e-mail to Info@EsqDevelopmentInstitute.com. Write "Complimentary Coaching Session" in the subject line and our lawyer coach will contact you shortly. 1. Achieve better focus. When the majority of your time is spent juggling cases, keeping track of clients, meeting goals for billables and balancing your personal life, it's hard to focus on anything other than making it through the day. A Professional Coach will help you focus your energy so you can achieve your goals with greater ease despite your hectic schedule. 2. Manage and Develop a Successful Legal Career. Developing a successful career depends largely on your ability to structure your career in alignment with your personal and professional goals. Coaching can help you clarify your vision and goals. When was the last time you considered what YOUwant in your legal career and in your personal life? The practice of law is fast paced and it's tough to find time to slow down and ask yourself some meaningful questions. Through Coaching, you'll have the opportunity to examine what you want, what motivates you, where you get stuck or distracted and much more. The coaching process allows you to learn about what you value, what it will take to build a fulfilling career and how you can design a balanced personal and professional life. When was the last time you had a conversation with someone who was fully committed to you and your success? That's the job of a Professional Coach. 3. Develop a Values-Based Professional Development Plan. Success doesn't happen by accident. You must PLAN what you want to achieve and determine the best way to go about getting there. Consider your career plan as the roadmap for your career. Where do you see yourself 5 years from now? How will you get there? What resources will you need? A Coach can help you create a plan that is in alignment with your personal and professional values and overall vision for your life and career. 4. Increase Productivity. 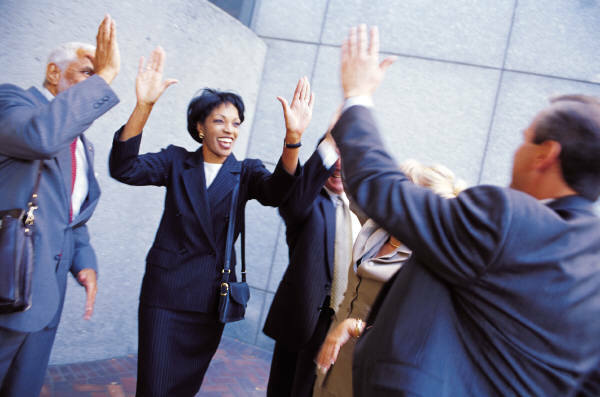 Productive people have the ability to complete their work on time and in an efficient manner. How many times have you committed to completing a task only to have the needs of someone else get in the way? At the core of Professional Coaching is accountability. Knowing that you've made a commitment to yourself AND told someone else about it, makes you more likely to stay on task. Your Coach holds you accountable for what you say you want to accomplish, and then continues to work with you as you achieve your goals and increase productivity. 5. 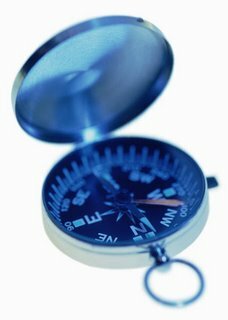 Navigate a Job Change or Career Transition. Too often, lawyers get locked into a job because they lack the tools needed to determine their next steps. Changing jobs, switching to a new practice area or transitioning to a new career can be tough. So tough in fact that many lawyers end up STUCK in an unfulfilling career for years. A Coach can provide you with the insight, resources and feedback needed to make concrete decisions regarding your career. If it'ss time to move up or out a Coach can help you make that decision faster and with greater ease than you would on your own. 6. Improve Time Management and Practice Management Skills. Lawyers are slaves to time yet few if any law schools provide training on how to successfully manage time. Case files, motions, clients, conference calls, deadlines, e-mails and meetings are simply a fraction of what goes on in a typical lawyer's day. Too often everything feels like a priority and lawyers report feeling overwhelmed, stressed and ultimately burned out. A Professional Coach can help you to take an honest look at your schedule and how you currently spend your time and manage your practice. Based on this information your Coach can help you create a strategy where you can achieve more in less time, with more time for a healthy personal life. Goodbye burnout! 7. Develop a Unique Brand for Improved Marketing. The practice of law is competitive and it's important to create a brand that effectively communicates your value to your employer, colleagues and potential clients. Why should they hire you over another lawyer? A Coach can work with you to create, develop and communicate your unique value proposition to others in a way that will help you develop a successful reputation and career. 8. Discover your Passion in the Law. Have you met lawyers who report feeling disillusioned with the law or report feeling lost? These feelings tend to emerge in a career when there is a misalignment between the work the lawyer is involved in and his or her personal and professional values. Sustaining a successful career in the law requires the pursuit and attainment of work in alignment with your passion, interests and strengths. Through Coaching you'll have the opportunity to gain clarity about your ideal work and work environment and then take the necessary action steps toward designing a successful and gratifying legal career. 9. Create Boundaries. Working with a Professional Coach can help you evaluate what you say "yes" to because you want to and what you need to quit saying "yes" to. A Coach can help you find the cure for the "disease to please" and the inability to delegate effectively. Through coaching you'll have the opportunity to consider what you need to say "yes "to or "no" to in order to respect your boundaries and function more effectively in your legal career. 10. Achieve Work-Life Balance. Lawyers are required to maintain hectic schedules under incredibly stressful, high pressure situations. After maintaining such a pace many lawyers experience burnout, depression and other stress related illnesses. Like others in high pressure professions, lawyers need find an outlet to relieve the stress of work. A Coach will help you to take charge and create a more balanced life. A Professional Coach can help you find time for family, friends, hobbies AND a successful law career.